David Bowditch Morse (born October 11, 1953) is an American actor, singer, director, and writer. He first came to national attention as Dr. Jack Morrison in the medical drama series St. Elsewhere from 1982 to 1988. He continued his film career with roles in Dancer in the Dark, The Indian Runner, The Negotiator, Contact, The Green Mile, Disturbia, The Long Kiss Goodnight, The Crossing Guard, The Rock, Extreme Measures, 12 Monkeys, 16 Blocks, and Hounddog. In 2006, Morse had a recurring role as Detective Michael Tritter on the medical drama series House, for which he received an Emmy Award nomination. He portrayed George Washington in the 2008 HBO miniseries John Adams, which garnered him a second Emmy nomination. He has also received acclaim for his portrayal of Uncle Peck on the Off-Broadway play How I Learned to Drive, earning a Drama Desk Award and Obie Award. He had success on Broadway too, portraying James “Sharky” Harkin in The Seafarer. From 2010 to 2013, he portrayed Terry Colson, an honest police officer in a corrupt New Orleans police department, on the HBO series Treme. 2012 The Odd Life of Timothy Green James “Big Jim” Green Sr.
Daniel Wymbs: I don’t like him. Ferdia McAnna: I don’t really know him. 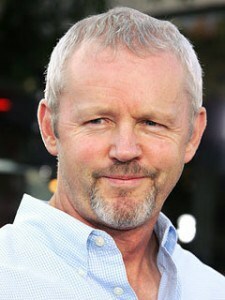 Mary D.Brown (David Morse.org): As to my own favourite film, it is The Green Mile. Hands down. It was that movie that prompted me to build the site back in 2001. He is so great in that. Of course, he is great in everything but he should have won an Oscar for his role in The Green Mile. Michael Doherty (RTE Guide): Vastly under-rated actor; superb screen presence. Steals every movie in which he appears.